Hand crafted leather Humidors by Cuban artists. 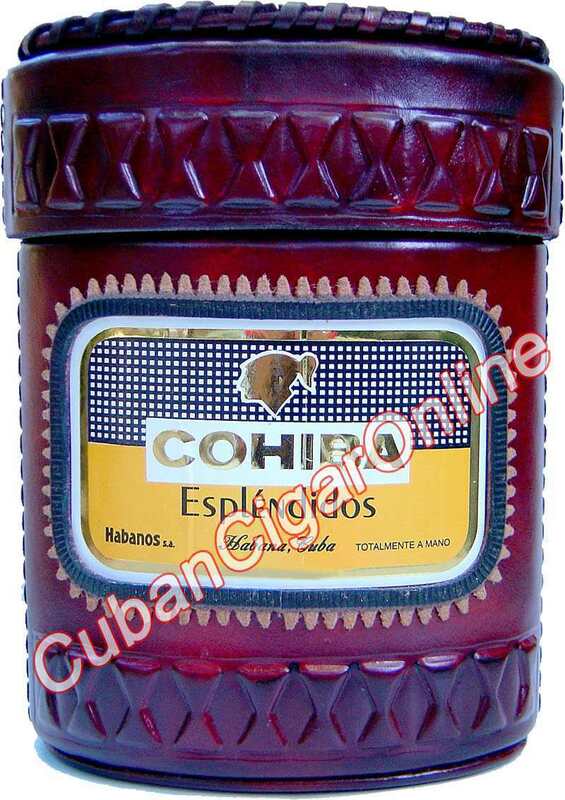 Included, 25 Cohiba Esplendidos (7 x 47). It has a perfect draw and burns with hints of sweet oak and cedar. A great full-bodied taste. Hand crafted leather humidor by Cuban artists. It has notes of leather and wood. It’s a flavorful, rich smoke with a full body and a great burn.